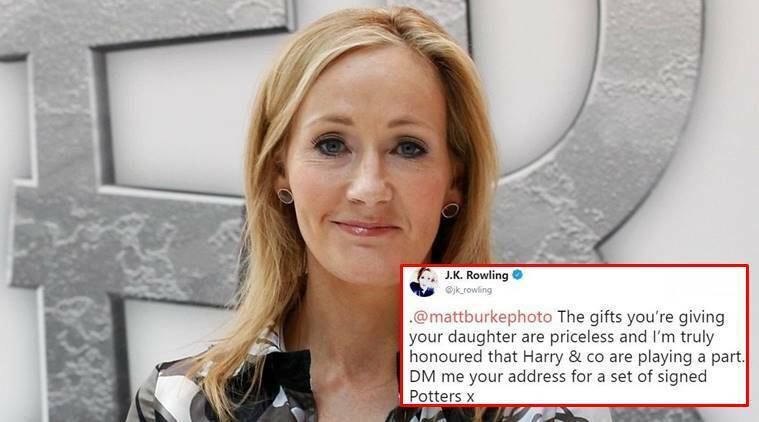 A father tweeted to writer JK Rowling about how 'Harry Potter' books helped him bond with his daughter even though he is broke. The heartwarming post touched the author's heart on Twitter. The Harry Potter series may have ended, but it continues to spread its magic in the hearts of people. Time and again, Potterheads like to visit the virtual world of Hogwarts School of Witchcraft and Wizardry. For many readers, it brings a glimmer of hope and takes them into a roller coaster ride of emotions. One such fan tweeted author JK Rowling about his journey of being a Harry Potter fan and how it helped him build a strong bond with his daughter. “JK Rowling I’m a single parent, broke as can be, and reading the Harry Potter series together has become one of the biggest sources of bonding for us. Doubt you’ll come across this or read this piece, but I just wanted to say thanks for the assist,” Matt Burke tweeted along with an adorable picture with his daughter. Rowling was touched with his heartwarming tale, and decided to send him a sweet surprise. “The gifts you’re giving your daughter are priceless and I’m truly honoured that Harry & co are playing a part. DM me your address for a set of signed Potters,” she wrote. This is a great moment for him. You could easily use your platform and usher him into the next phase of life for him and his daughter. His photos seem gallery worthy and your show could benefit from him as a guest. His story would be fascinating! Such a magical and kind gesture. What are your thoughts about Rowling’s kind gesture? Tell us in the comments below.